The Daly-Leach Chapel was created in October of 1984. The current building was open for business in September of 1985. In 1984 several local families encouraged Ed and Carol to stay in the Bitterroot Valley in order to provide quality services to the community. Ed and Carol were adamant that our business remain a family owned and operated business into the future. 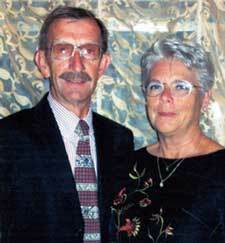 Ed and Carol moved to the Bitterroot Valley in 1971 and worked for a local funeral home. They raised their family in the Bitterroot Valley, including opening their home to nine foreign exchange students over the years. They were very active in many local clubs and organizations, with MDM Hospice being very near and dear to their hearts. Ed entered funeral service in 1958 in Boise, Idaho. He attended the San Francisco College of Mortuary Science, graduating in 1967 earning his B. A. and a Mortuary Science Degree. Ed and Carol have both since passed away. Carron is the daughter of our founders, Ed and Carol Leach. Carron graduated from Hamilton High School, attended the University of Montana and went on to attended Mount Hood Community College in Portland, Oregon receiving her Mortuary Science degree in 1990. For over 20 years she has sung in the Bitterroot Valley Choir performing the Messiah. Carron has worked as a volunteer with the MDM Hospice of the Bitterroot and in the Ravalli County Relay For Life. She is currently a member of the Marcus Daly Hospice Volunteer Board. Tom also graduated from Hamilton High School, attended the University of Montana and went on to attended Mount Hood Community College in Portland, Oregon, receiving his Mortuary Science degree in 1990. Tom is a Past President of the Montana Funeral Directors, has twice served as the Western District Governor for the Association. He obtained his Certified Funeral Service Practitioner certificate in 2007. Tom served over 24 years in the Montana National Guard retiring as a Sergeant Major for the 163rd Combined Arms Battalion in Belgrade, MT. He is a member and Past President of Bitterroot Valley Kiwanis. He is currently a member of the Daly Hospital Foundation Board and the Friends of Hamilton Schools Board. Tom serves our community in many different organizations. Tom and Carron have worked as licensed morticians for the Daly-Leach Chapel since September 1990. Bill grew up in the Malta area, his wife Judy grew up in Helena. Bill attended Carroll College, Eastern Montana College and Kansas City Kansas Community College, receiving his Mortuary Science degree in 1994. Bill has been with the Daly-Leach Chapel since 2003. He has been a licensed Mortician since 1994, and is a past president of the Montana Funeral Directors Association. Bill obtained his Certified Funeral Service Practitioner certificate in 2006. He is a member and Past President of Hamilton Rotary Club. Bill is a member of many local organizations and clubs. Judy attended Eastern Montana College and graduated from the St. Vincent Hospital Radiology Program. She is very active with St. Francis Catholic Church. She is currently employed at Marcus Daly Memorial Hospital in Hamilton and St. Patrick Hospital in Missoula. Michael grew up in Gresham, Oregon graduating from Sam Barlow High School. Right after high school he moved with his family to Pendleton, Oregon where he started working with his father in the family funeral home. Michael married Michelle Girsberger in 1995 and they have 3 children. Jacob, Natalie and Isaac. Michael graduated from Mt. Hood Community College in Gresham with his degree in Funeral Service Education. He is currently licensed as a mortician in Montana, Idaho, Utah and Arizona. Michael joined the staff of the Daly-Leach Chapel in February 2018. He is experienced in all aspects of funeral service. 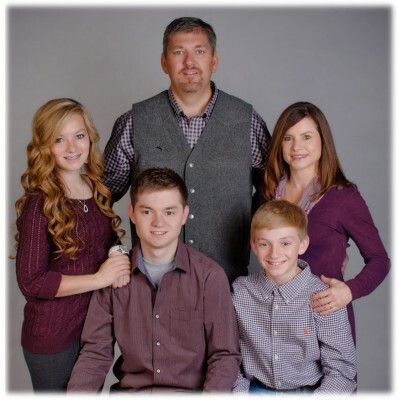 He is very involved in his church and enjoys spending time with his family. 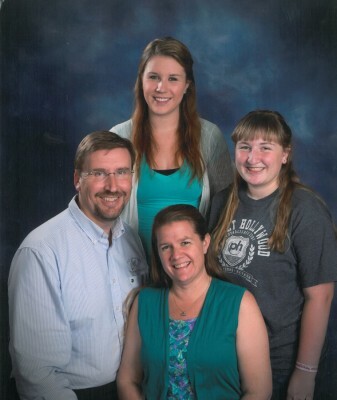 Michelle works as a paraprofessional at Daly Elementary and enjoys every minute she can get with her family as well. The whole family enjoys hiking in the mountains of Montana and spending as much time as possible outside. 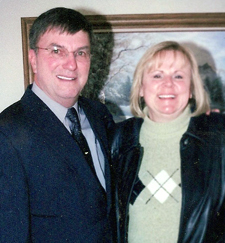 Ron and Jane both graduated from Hamilton High School and attended Montana State University. Ron graduated in 1979 with a Bachelor of Science in Microbiology, and then was commissioned into the U.S. Air Force. Ron received a Master of Science degree in 1986, from Oklahoma State University. Ron and Jane spent 24 years on the move with the USAF living in Germany, Italy, and six different states before Ron retired as a Lt. Col. and moved back to the Bitterroot Valley. Ron has worked for the Daly-Leach Chapel as a funeral assistant since retiring in 1999. 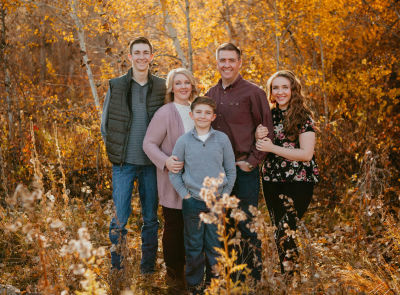 In between moves and travels, Jane received her Bachelor of Science in Education from the University of Central Oklahoma, and a Master of Education from Framingham State University, while living in Naples, Italy. She retired from teaching at Daly Elementary School in Hamilton in 2018. Ron and Jane assist with Receptions and events in our Community Room.